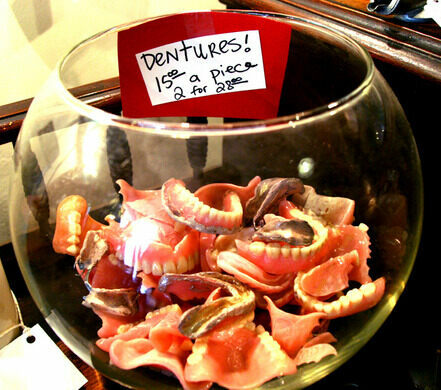 Looking for loose teeth, used hearing aids, odd taxidermy, lice powder or other bizarre ephemera? 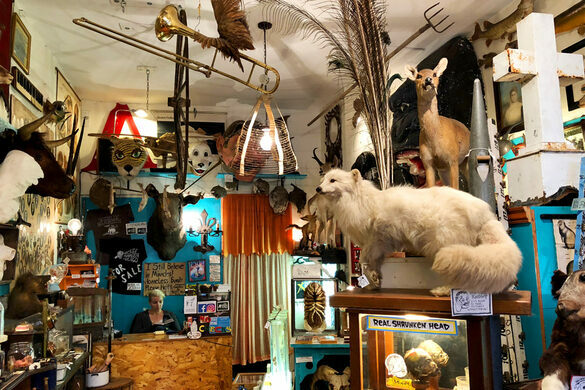 Then look no further than Chicago’s Woolly Mammoth Antiques and Oddities, a crammed curiosity collection that focuses on the remnants of the deceased as a way of dealing with the inevitability of dying. 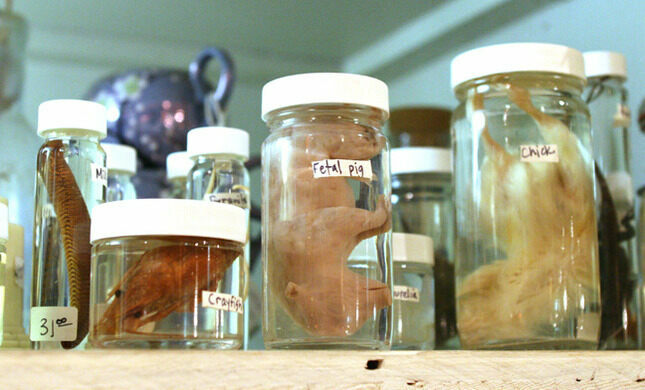 Started in 2010 by a young couple who were inspired by a set of teeth that had been passed down to them, the shop has continued to collect medical oddities, preserved animal fetuses in jars, and other bizarre relics that now crowds every inch of shelf space. In an interview with Time Out Chicago the one of the owners said that “We stock these things for a selfish reason: to make ourselves more comfortable with dying,” and their stock reflects this. 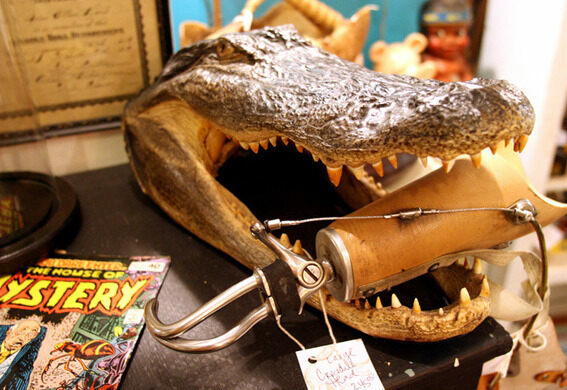 Countless bones and skulls are spread throughout the store, sharing space with urns, outdated medical equipment and manuals and copious amounts of strange taxidermy such as and alligator that has been turned into a lamp with the bulb in its mouth. The store is not exclusively devoted to morbid curios and also offers other random items of interest such as a Boy Scout’s handmade wooden journal from the 60’s that included clipped images of his favorite things and one fold out first page article about JFK’s assassination. Woolly Mammoth Antiques and Oddities is a popular stop for Chicago locals who enjoy sifting through the overwhelming collection to unearth unique treasures. 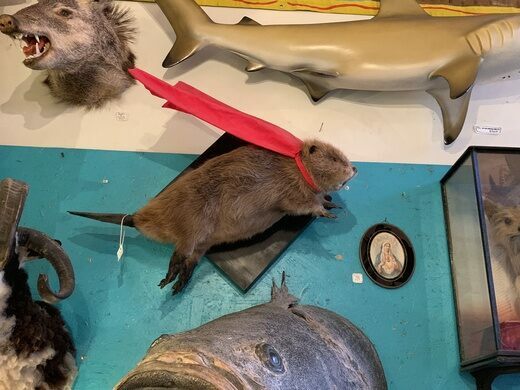 The store even offers classes for anyone who wants to make taxidermy of their own, although philosophies on death are not included. 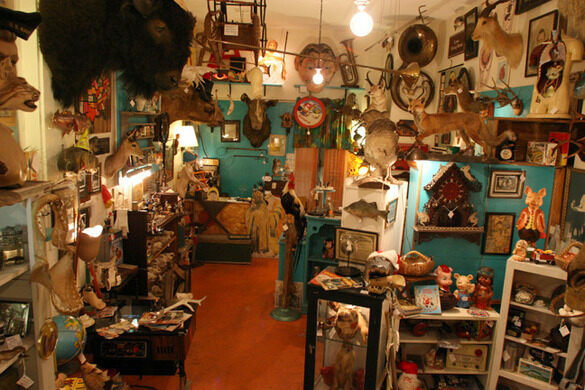 A beautiful oddities shop crammed with strange and morbid curiosities. 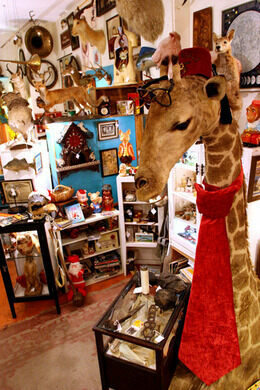 This mother-daughter run curiosities shop is a beautifully odd mix of taxidermy and exotic plants. 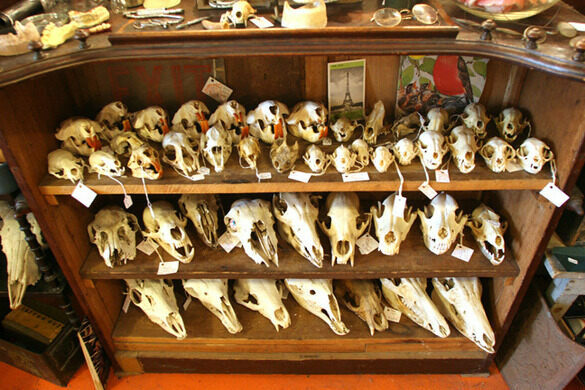 A collection of human remains, animal body parts, and other macabre curiosities all legally for sale.